Admit it. Dog people hate cats. It's okay. I hate cats, too. That's why I'm recommending this to you. Sure it looks a tad medieval. 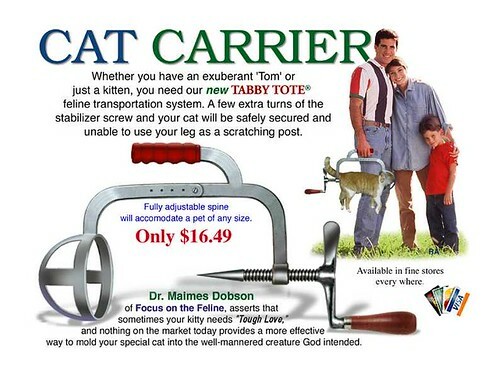 Yes, it may traumatize Kitty beyond help. But, it looks cool and will keep the little monster from scratching your eyes out.